This post contains affiliate links and I will be compensated if you make a purchase via my links. 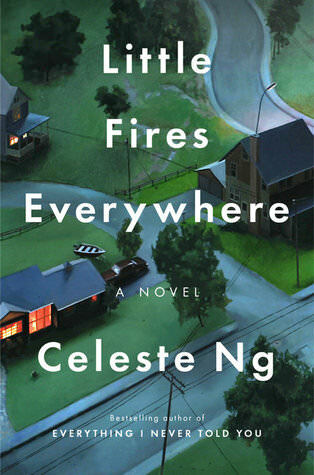 Little Fires Everywhere is an engrossing story about a family and a community that you can sink right into…and may have even broader appeal than Everything I Never Told You. When nomadic artist Mia Warren and her daughter (Pearl) rent an apartment from Elena Richardson in Shaker Heights, Elena’s entire family becomes enmeshed in the Warrens’ lives, resulting in uncovered secrets, unanticipated consequences, and a raging debate about what it means to be a mother. Ng’s debut, Everything I Never Told You, was a smash hit with me and others (it was Amazon’s Best Book of 2014), so Little Fires Everywhere might be the 2017 book I’ve been anticipating the most! Little Fires Everywhere‘s premise didn’t jump out at me initially. It’s not entirely clear what this book is about. Yet…the way Ng told this story had me engrossed immediately. It’s the kind of story where you sink right into the community and the characters’ lives. I’m a bit hard-pressed to pick out specific things I loved about it…yet, I loved the book as a whole. Little Fires Everywhere is greater than the sum of its parts. The set-up for this story reminded me a bit of the tv show The O.C. – an outsider sort of infiltrates a wealthy family and supposedly idyllic community with far-reaching consequences (Pearl Warren = Ryan Atwood). In fact, the city’s motto was – literally, as Lexie would have said – “Most communities just happen; the best are planned”: the underlying philosophy being that everything could – and should – be planned out, and that by doing so you could avoid the unseemly, the unpleasant, and the disastrous. Little Fires Everywhere is more action-packed than Everything I Never Told You and, I believe, has the potential for even broader appeal. And, the debate-starting issues it deals with make it a great book club selection! I had to suspend belief and just roll with some of the plot points…the coincidences were a little too big. But, while I recognized this as I was reading, it didn’t bother me or influence my opinion of the book as a whole. I should be getting this from my library soon. I didn’t read her first book but I like that you said this one is more action packed. Also interested that it takes place about 90 min from where I live! Oh – I bet you’ll love it being more familiar with the setting. She really makes the setting come alive! Wow, what a great quote! Can’t wait to read this book. Wonderful review, Sarah. I’m listening to this right now and think it’s terrific. I didn’t love Everything I Never Told You quite as much as most others, so I think I’ll be one of those people who likes Ng’s sophomore effort better. At about 20% into the story, I just keep thinking about how “Stepford” the Richardsons (and really the whole Shaker Heights community) seem. I’m excited to see where it goes! So Stepford!!! Glad you’re loving it! This is going to be my next audio and I can’t wait! There’s been a buzz about this book and I’m looking forward to reading it. I didn’t read her first either, but this one sounds awfully good! My library hold position is 33 on 11 copies, so it should come about the time I wrap up a project that’s due in early October. I really think this is one of those books that will appeal to so many people! I was just gifted the Book of the Month, and this one is on the way. I can’t wait to read it. I’ve seen a few people mention that it made them feel a little uncomfortable about their own cushy suburban communities–something I’m guessing I might feel as well, but that isn’t a bad thing. Yep – definitely makes suburbanites very aware of their cushy life! I hope you love it and I think you’ll love BOTM…I always anxiously await their picks! I loved this. And half my relatives were from Shaker, so I doubly related. Oooh – I bet that gave you some great perspective! I sort of want to read it all over again, don’t you? I wonder how much richer it would be now that we know what the book is about – as if that can ever be categorized. Oh, the book club discussions! It makes me wish I was in a book club just to participate in one! I truly went in knowing not much at all…I don’t even think I read the blurb. Just knew the daughter had lit her family home on fire. If your local library branch doesn’t have a book club, why don’t you start one? I moderate one – it is easy. Ask each attendee to recommend one for the next month. If you are stuck for the very first book, ask a librarian to recommend a read. Our meetings are only 80 min long. We meet monthly, from 5:30 til 6:50 where library branch closes at 7 PM. (Makes it easy to “wrap up.”) Our meetings are free wheeling, with only 3 restrictions: 1. Everyone gets a chance to speak (you can just go around the room) 2. Don’t get too loud, to respect other library patrons 3. Recommended reads must be available thru your library or their borrowing program. (Ours uses Link+) That way no one has to make a purchase. There is always a way to make that hour, or 80 min, available to share your love of reading with others! Our group is now over 8 yrs old, and many of us became friends. I end up reading, and am happy to have done so, many books I may not have given a second glance to…. I felt the same way you did about some of the plot points, but I was also able to ignore it because I loved the book. Loved the book and really did not like Elena. Was that one of your issues? WHY she would care so much and be so determined to wreak havoc? Because it was my main peeve. 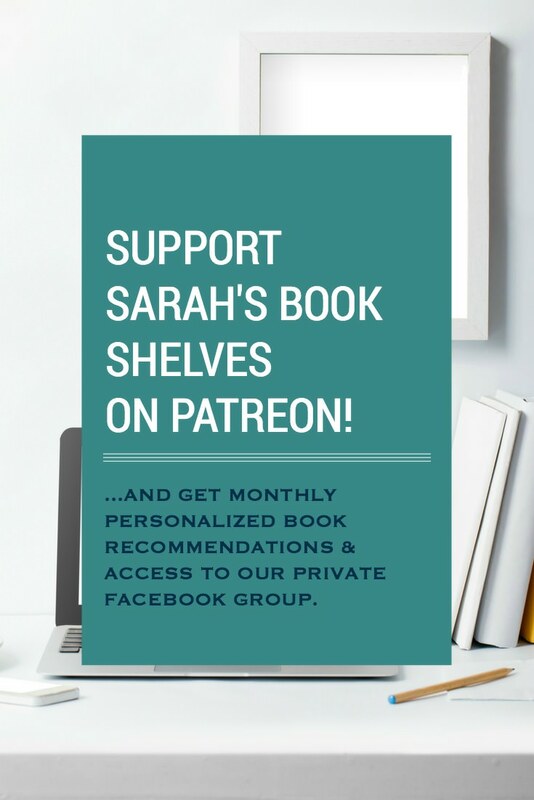 I need some books to recommend for my book club, so this sounds perfect! I liked Little Fires a lot but it did take a while to get going. That mother though UGH. She was horrid, right?! But also necessary to the story I thought. Great review Sarah. I enjoyed Ng’s – Everything I Never Told You – She has a unique writing style. I’ll add her new novel to my last. Glad you enjoyed it! She does and her writing style is right up my alley. No frills. I thought this book was pretty good, but not perfect for the reasons you alluded to (trying to keep this comment spoiler-free). I also found the male characters were more one dimensional than the females. I would have liked to hear more about Trip’s motivations, for example. I thought it was telling how the narrator referred to Elena as “Mrs. Richardson” while all the other characters, including adults, went by their first names. I live in an upper-class midwestern suburb, and the Mrs. Richardson types are alive here! In my real world experience, they love to bring attention to themselves by inserting themselves in other people’s problems. I hear you on the Mrs. Richardson…I’ve definitely come across a couple of those! And I would have liked to hear more about Trip…I didn’t think about it at the time, but now that you mention it, yes! !